A few days ago, Suntory announced the release of the Yamazaki Heavily Peated 2013 edition. It will be a Japan-only release, and will go on sale on April 23rd. Bottled at 48% abv and priced at about 9,000 JPY, a mere 3,500 bottles will be available and if the recent Hakushu Sherry Cask experience is anything to go by, it won't be around for very long. 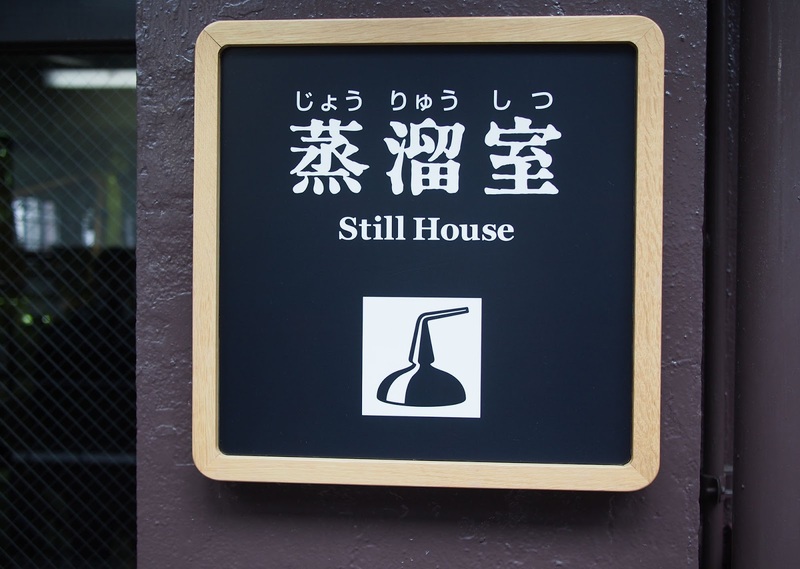 I happened to be at the distillery - doing research for a forthcoming book - when the imminent release of this Heavily Peated was announced and fans of Yamazaki will be happy to know Suntory is in the process of adding 4 more stills to the site there. These will be placed in a different building, seeing as there's no more room in the current stillhouse (which already holds 6 pairs of stills). In addition, a new warehouse is under construction at their Ohmi site in Shiga prefecture, where the bulk of Suntory's malt and practically all of its grain whisky is matured. It seems like things are going really well for Suntory and, indeed, for whisky in Japan in general. It's a big gamble, of course, since decisions made now will only prove valid ten years down the line, but the fact that the people at Suntory are confident enough to make these commitments show how vibrant the whisky scene is at the moment. Read more about Yamazaki Distillery here. Une version en français pour ton live ? Thanks Stefan, where can one buy this online in Japan? I notice that Malt City does not carry Japanese whiskies for some strange reason! To be honest, the consumer market for these sort of bottlings at home is becoming incredibly competitive. Even for me - someone who deals with Japanese whisky on a daily basis - it is sometimes difficult... Like with the Hakushu Sherry Cask: I managed to get one, but it was pure luck. Then, a few days ago, in fact, I managed to get my hands on another one, but again - just luck. It will be available online but you need to look at this from the perspective of Japanese retailers: there is no need for them to go through the extra trouble of offering this to people abroad, because they can easily sell their allocation to the domestic market. Malt City does not carry Japanese whiskies, because doing so would conflict with the interests of the distilleries themselves (who have exclusive contracts with distributors abroad). This may change in the future, though. It's something that's on the table. Finding the right way to do it, will take some time, though. Thanks Stefan; I'm looking for a Japanese retailer online who will deliver in Japan, not abroad, as I can appreciate the considerable difficulty in doing this! Any links would be much appreciated. Oh and by the way, thank you for making the Karuizawa available on Malt City for international buyers, big props to you for that! Thanks for the kind words, Johanna. There are many good online retailers in Japan. My personal favourites (in no particular order of preference!) are Shinanoya, Liquors Hasegawa, Musashiya, Kameya, Whisky Shop Tamagawaya, Kinko (Liquors), Tsuzaki, and Big Tsukiji. You can easily find their online shops by googling. (You will need to be able to understand Japanese, though - or have someone by your side who can you help you with this.) I can't advertise too much as this would break Nonjatta policy, but the above should go some way to helping you track down a bottle when it is released in April. Thanks again for your support.